There are many ways to support the Northern Chamber Orchestra. Our Friends and Patrons provide key support to the Orchestra, its concerts and its work in schools and care homes. 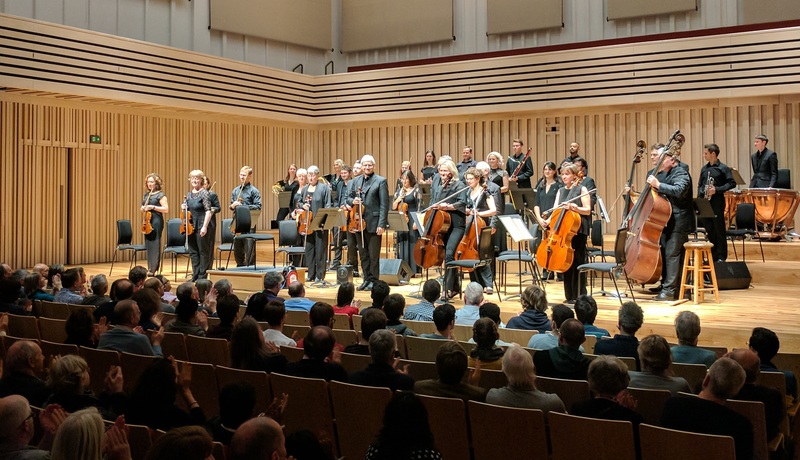 Whilst acknowledging how far the Northern Chamber Orchestra has come and what it has achieved in that time, our ambitions for the future gather pace: continuing to develop exciting and diverse concert programming, featuring superb soloists, along with inspiring learning and community initiatives that connect people of all ages to classical music and its potential to enrich lives. There are several ways you can support the NCO. By becoming an NCO Friend you will make a tangible contribution to the orchestra and enjoy a range of benefits that will help you build a personal relationship with the orchestra. By becoming a Patron, you will make an invaluable difference to the work of the orchestra. You’ll also have access to a range of benefits (including automatic Friends membership, plus additional benefits, exclusive to Patrons). You can donate in different ways – with time, money, experience and skills. Find out more about volunteering with the NCO, or how to make a donation. Leaving a legacy gift makes a personal and lasting contribution to the future of the NCO. If any of these ways of giving individual support appeal to you, we’d love to hear from you. You can get in touch with the NCO team by telephone: 0161 247 2220 or by email: info@ncorch.co.uk and we’ll be happy to run through the options in more detail.